Heat based essential oil diffuser. 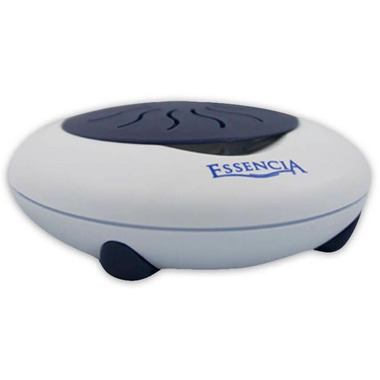 Directions: Simply apply 3 to 10 drops of your favorite essential oil onto the dish, turn on the diffuser, and within minutes the Essencia® New Generation II diffuser will diffuse the fragrant essence throughout your room. Switch off the diffuser before applying oil. Do not overflow the dish. Remove and clean the dish between uses and before changing the essential oil fragrance. Use mild soap. Dry thoroughly before installing the dish back into the diffuser. Note: Allow the dish to cool before cleaning.